What: This year marks the 18th edition of the Hong Kong International Literary Festival, where some of the world’s most famous authors debate and discuss a range of subjects over the 10-day event. What: American R&B powerhouse Khalid headlines the city’s biggest open-air music and arts festival, with Interpol, David Byrne and The Vaccines among an eclectic line-up. What: Check off that Christmas shopping list at these lavish markets for designer fashion, accessories, gourmet bites and handcrafted gems. What: Want another Iris fix? The wellness festival teams up with Ngong Ping 360 for the first time to bring a series of yoga, fitness, meditation and stretching classes to one of Hong Kong's most iconic locations. What: Dig out the eyeliner and retro bandana for rock legends Axl Rose, Slash and Duff McKagan, reunited for the first time since 1993 for this world tour. What: An impressive line-up, including Patrick Reed, Tommy Fleetwood and Sergio Garcia, vie for the US$2 million purse at the 60th edition of the golf tournament. What: The Brit Award-winning indie-rock band performs with two new members. Expect to hear hits such as Take Me Out, No You Girls, and Ulysses. 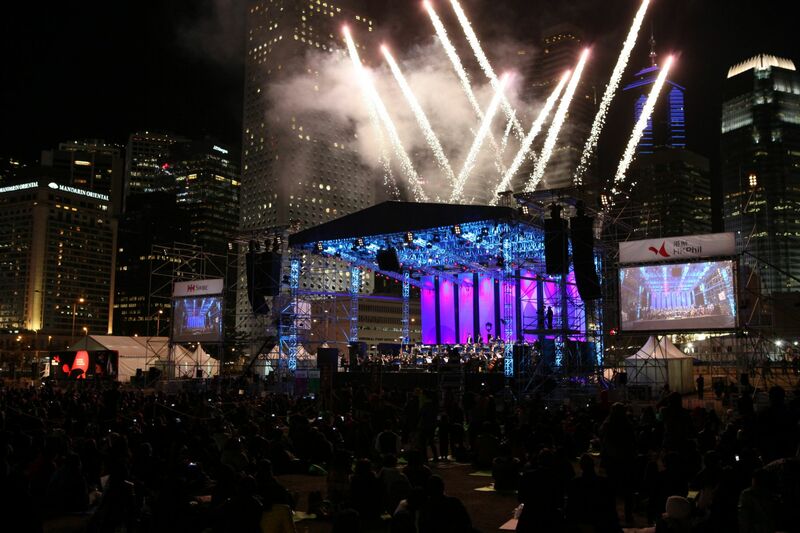 What: Watching the Hong Kong Philharmonic Orchestra perform out in the open—with the stunning Hong Kong skyline as its backdrop—makes for a truly magical night out. Best of all? It's free. Bringing EDM to Hong Kong, this all-day festival at PMQ brings some of the most revered names in dance music to the city. Artists include Roman Flugel, Extrawelt, Jacques Greene and Roger Reflex De Leon. What: The Grammy-winning R&B sensation brings hits like Starboy, Can’t Feel My Face and Earned It to Hong Kong.